Ad dollars spent in Out-Of-Home (OOH) advertising, “positively impact purchase behavior,” according to Jim Spaeth of RealityMine, who conducted a recent study. The report determined that consumers rarely leave home without their mobile devices…and OOH’s reach, interactive capabilities and captivating messages move consumers to immediately look up and learn more about products and services. Additionally, OOH is more likely to reach potential clients in the hour leading up to mobile activities, consistently outperforming TV, Radio and Print. According to Jim Spaeth, “OOH is often the first step on the path to purchase…and can secure shopper engagement with an effective hand-off to mobile.” Four out of ten respondents indicated that they had an OOH ad in mind up to one hour prior to engaging in their mobile online shopping action. 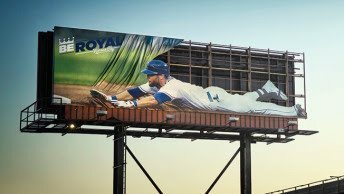 Remember…OOH Advertising – whether it’s Buses, Billboards, Benches and more – cannot be turned off, turned down, or tuned out. OOH Advertising is up live and working for you 24/7 to get your message out to potential customers and keep your company branded.